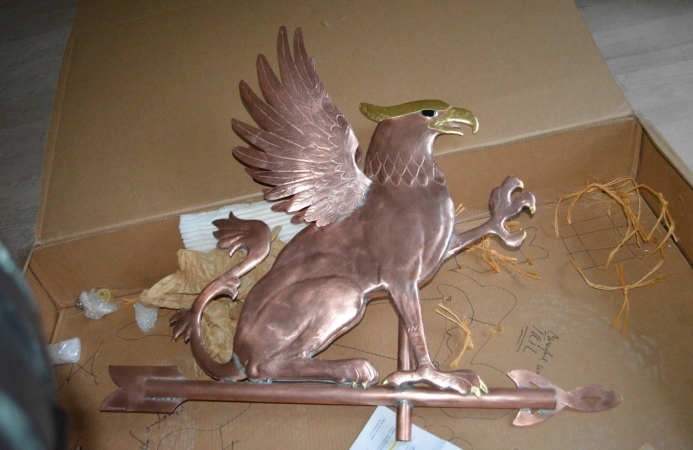 We crafted this Griffin Weather Vane in copper with optional gold leaf accents on its crest, beak, talons, claws and the edges of its wings. Also possible is the addition of optional gilding to the arrow tip and fletching. 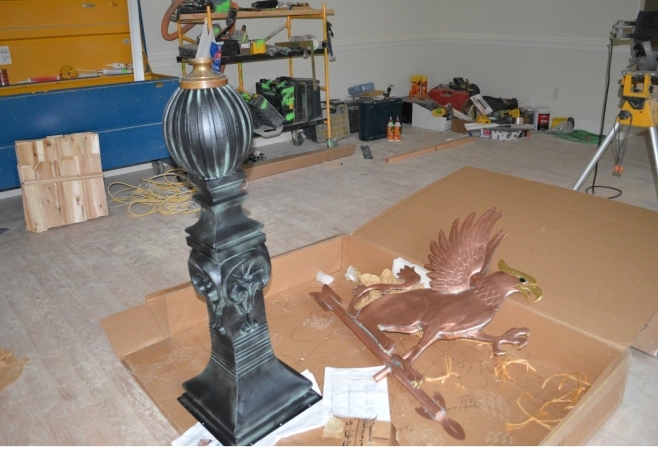 Mounted outdoors, the copper will weather to a deep chocolate brown color allowing the gold leafed accents to stand out in bold contrast to the darker surface areas. 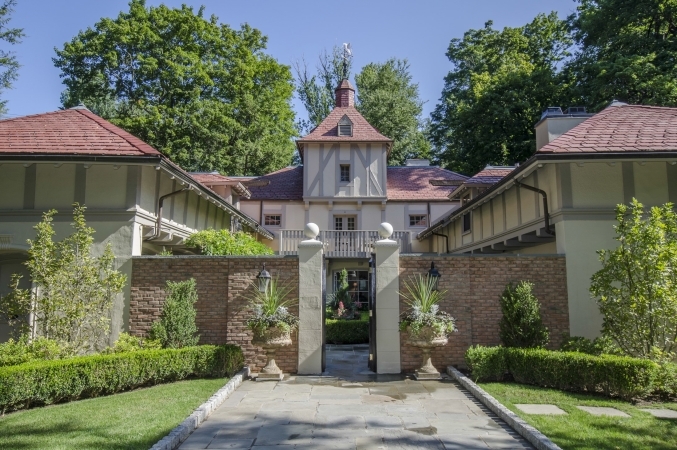 With his fierce beak, decorative head plume, outstretched talons and sculpted wings, the Griffin has an elegant profile against the skyline. 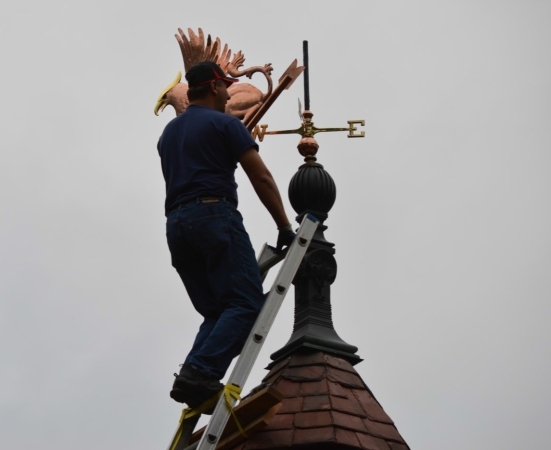 Our original Griffin Weather Vane was commissioned by a couple with the last name of Griffin. 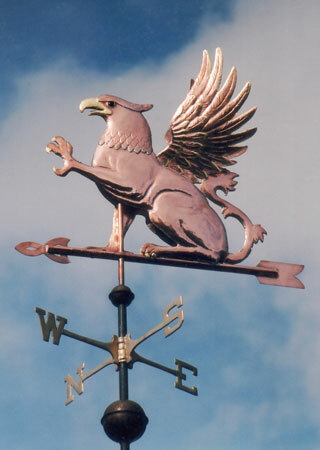 Ordering weathervanes based on customer’s names is actually quite a popular tradition. 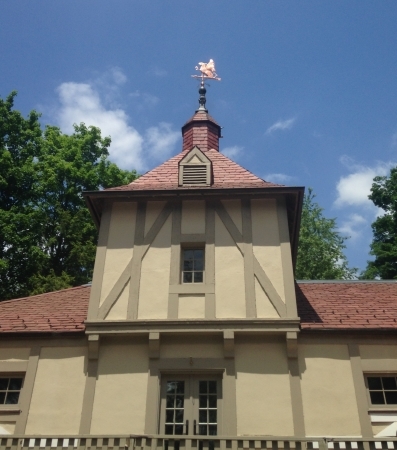 For example, we have made Fox Weathervanes for families named Fox, a Lamb weathervane for a family named Lamb and a St. George & the Dragon weathervane for a man named George. 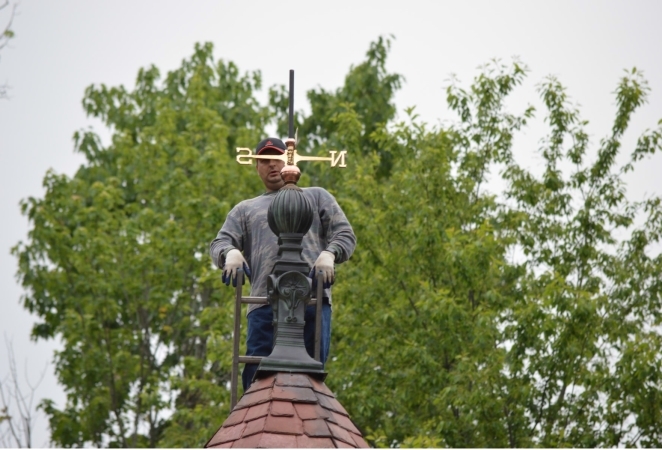 Because our weathervanes are made to individual order, we can personalize them according to our customer’s wishes. 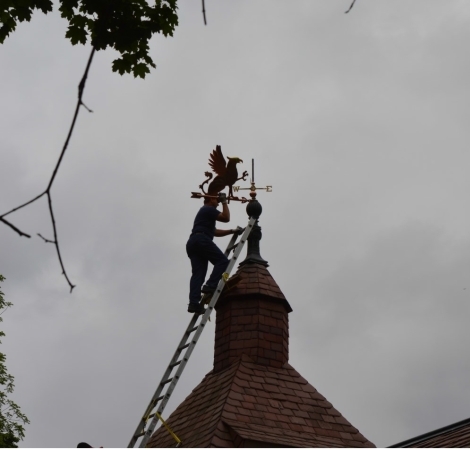 A couple on the East coast commissioned a variation of our traditional Griffin Weather vane by asking us to add a martini glass in his talons as though he were giving a celebratory toast. The griffin, griffon or gryphon (from Old French grifon) is a legendary creature with the body of a lion and the head and wings of an eagle. As the lion was traditionally considered the king of the beasts and the eagle the king of the birds, the griffin was thought to be an especially powerful and majestic creature. In antiquity it was a symbol of divine power and a guardian of the divine.